After roughly two years, the European Union Directive on Copyright in the Digital Single Market, the subject of significant public interest and lobbying efforts, has been passed by the European Council. The European Parliament is set to ratify on April 9th, sending the measure to EU member countries, which must pass laws reflecting the policy within two years. The new Copyright Directive sets forth sweeping changes that have the potential to dramatically alter the way rights holders, tech companies, and consumers must interact with respect to copyrighted material. The European Council, sitting in Strasbourg, passed the measure by a vote of 348 to 274.The most significant – and controversial – elements of the Directive are found in Articles 11 and 13. Under Article 11, which has been dubbed the “link tax” by critics, social networks and news aggregators will be unable to display even snippets of copyrighted work without paying the rights owner. This means that users must either significantly increase rights payments or cease linking to publications entirely. The websites hosting this soon-to-be-illicit media will be forced to pay “fair and proportionate remuneration,” though there remains significant ambiguity over quite what that standard means. Google News, which includes text and pictures from articles in its headlines, has said it may be forced to close its service entirely if the Directive goes into effect. While legitimate and non-commercial use is protected, it remains to be seen what enforcement agencies will deem either legitimate or non-commercial. Perhaps even more controversial is Article 13, which has been dubbed the “upload filter” provision. Under the revised Article, hosting platforms, like YouTube and Facebook, can be held directly liable for unauthorized copyrighted materials posted on their websites. This is in sharp contrast to the American system, where hosting websites are not liable for user-generated content. Given the vast quantity of data hosted on such platforms—people watch more than 11,500 hours of videos on YouTube every second—automated filters will need to be employed by any company hoping to stay in compliance. However, such filters will likely be expensive to develop and deploy, and critics worry that this will advantage the existing tech giants over smaller firms. Further, opponents have raised concerns of censorship. To avoid liability, firms are incentivized to over-filter rather than under-filter, removing legitimate content in the process. This has led prominent web companies such as Google, Reddit, and Wikipedia to oppose the Directive. While critics of the Directive have been vocal, proponents claim that the change is necessary in a market where media consumption has changed dramatically since 2001. With the advent of viral internet videos and images, a copyrighted work can be viewed the world over and discarded before a traditional copyright suit could even be initiated. Further, supporters contend that the measures are far less draconian than envisioned; media companies will simply have the right to ask content hosters for license fees on content they rightfully own and from which hosting companies are deriving significant profits. Once in place, the Directive will apply to all internet platforms unless: 1) it has existed for fewer than three years, 2) it generates less than €10,000,000 per year; and 3) it has five million or fewer monthly visitors. All three elements must be present for an entity to be excepted from the Directive. 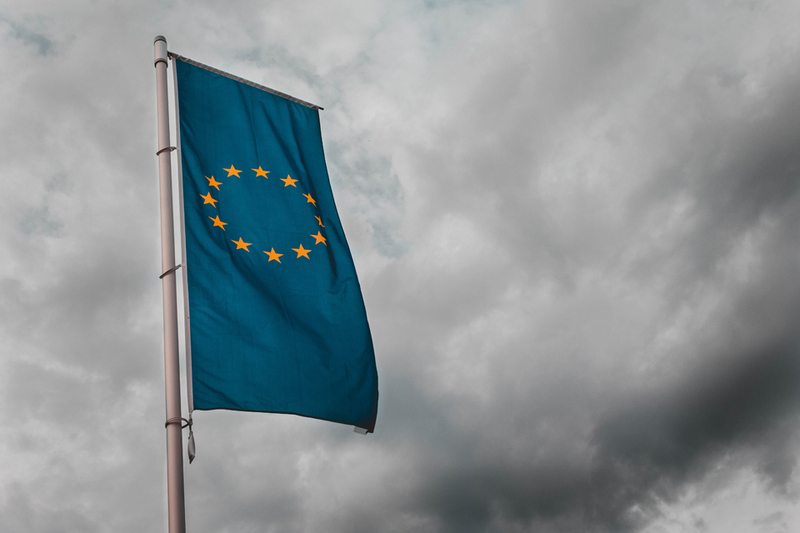 Passage of the EU Copyright Directive is the first major step in what is sure to remain a contentious fight over the use of copyrighted material on the Internet. The battle now shifts to the EU member countries which now must begin crafting and enacting specific laws based on the Directive. The landscape by which rights holders, tech companies, and consumers interact with – and use – copyrighted material is certain to change. The impact, extent, and consequences of that change remains to be seen. As we have seen in recent years with subjects like Europe’s General Data Privacy Regulation (“GDPR”), major policy changes in Europe will affect global internet players like Facebook, Reddit, Google, and Apple. The changes these companies implement to deal with such policies eventually ripple outward to affect other, smaller companies in turn. While the Copyright Directive may seem targeted to other businesses, American companies in all industries and of all sizes should keep careful watch on this development. If your business is involved in e-commerce or depends on activity on sites like YouTube and Facebook for content distribution or marketing, you should talk to an attorney experienced in these issues to determine how the Copyright Directive may affect you in the years to come. Our team is available to assist you with advice on how the Copyright Directive may affect you and your business. Please contact Michael Oliverio, Doug Hall, Lauren Matthews or Jon Niznansky at (724) 776-8000 for more information.